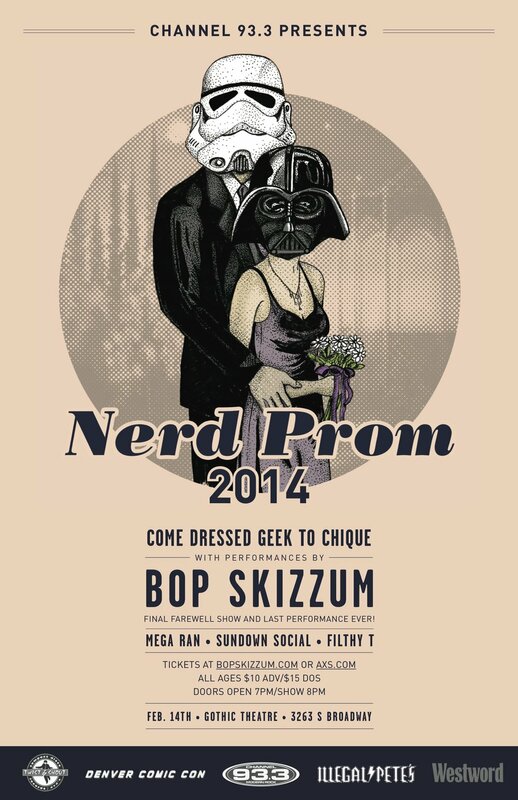 Well… it’s exactly what it sounds like… it’s a really nerdy prom. Many of us didn’t exactly have a great time at our high school prom, especially those of us who were particularly nerdy… but let’s be honest, prom was kinda lame. 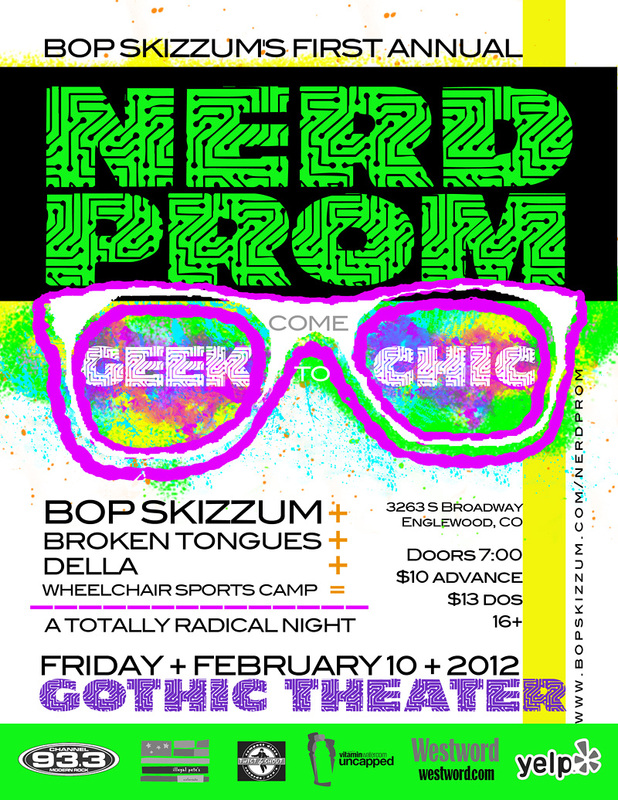 Nerd Prom is our way of taking those memories back, in the name of justice and all things good. At Nerd Prom, we wear our geekdom with pride, because the further we get from high school the more we realize that what made us uncool then makes us really freakin’ cool now. How do I dress for Nerd Prom? Come dressed geek to chic. You can dress for prom, or you can dress like Chewbacca. It’s your call. Cosplay is always welcome and encouraged. What do I do at Nerd Prom? Come to dance, see some great music, and make new friends. Great things happen when nerds unite. In 2018, the impact that nerd culture has had on the mainstream is palpable; from movies to music to television, what was once the passion of a small few has become the fascination of the culture as a whole. Nerd Prom’s mission is to give the people of geek culture another way to come together and be with one another in an environment that’s fun and friendly. 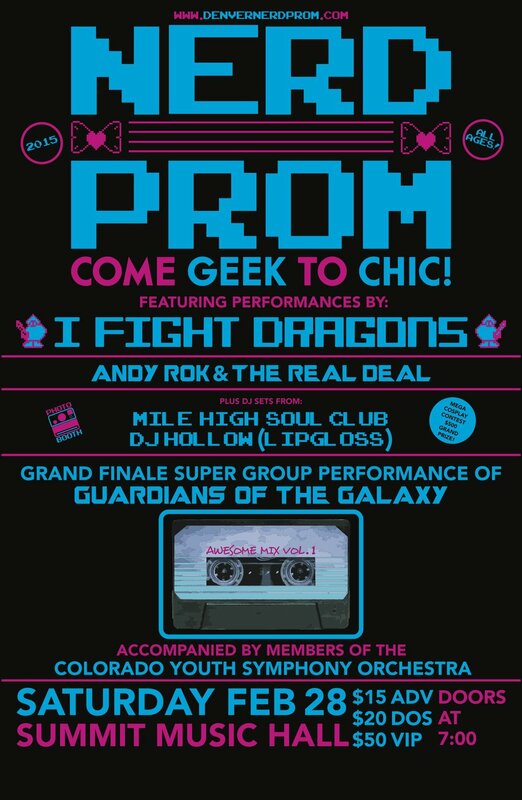 The first Nerd Prom was held in 2012 in Denver, Colorado and was hosted by Andy “Rok” Guerrero. 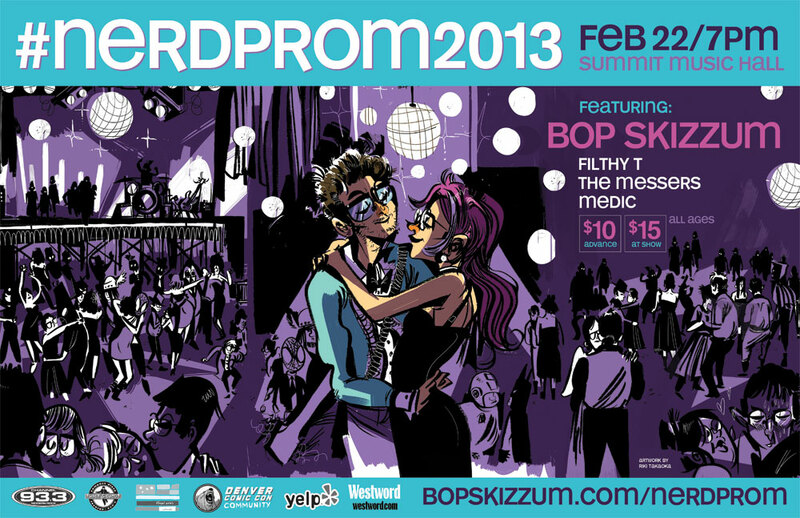 However, it wasn’t long before Nerd Prom took on a life all it’s own. What was once just a cool way to approach a concert turned into a movement. 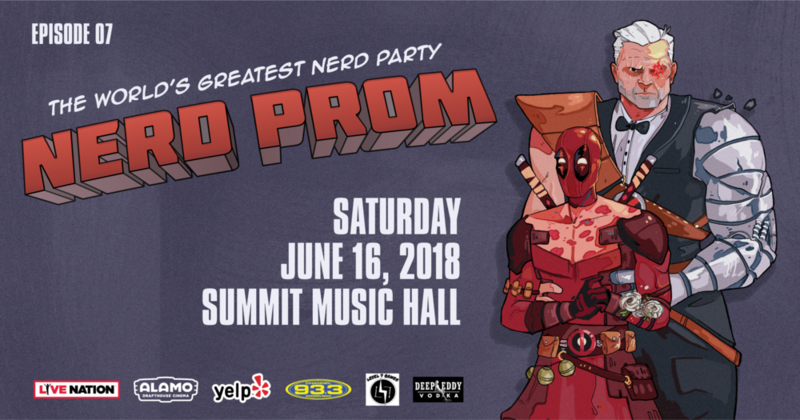 Now, Nerd Prom is an annual tradition that incorporates not only live music, but also several other elements of modern geek culture as nerds everywhere seek retribution by reliving prom the way it should have been.